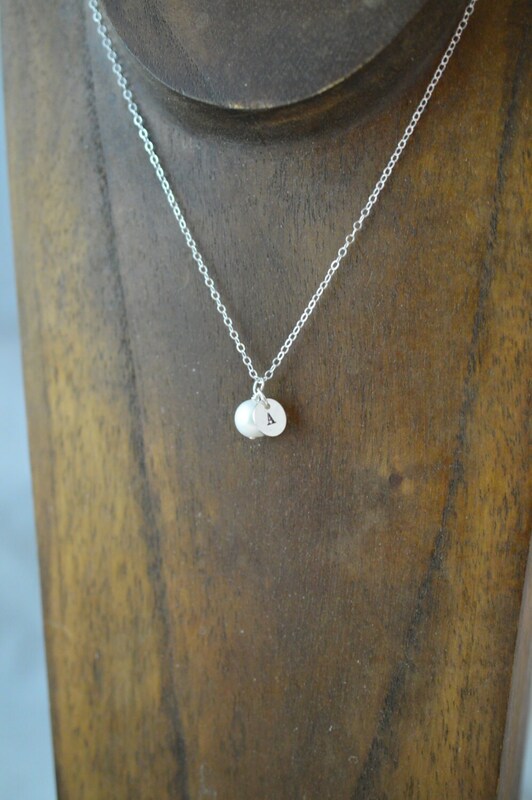 This listing is for THREE of these necklaces. 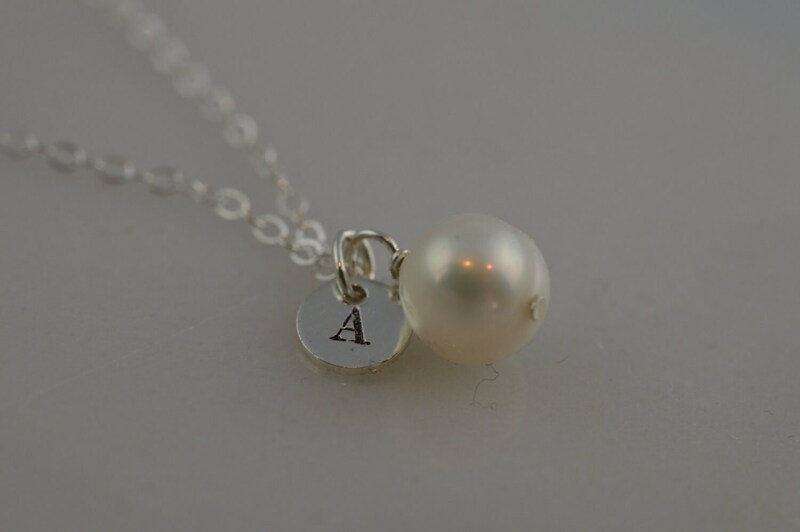 This sweet, delicate necklace makes the perfect bridesmaid gift (or gift for anyone! ). 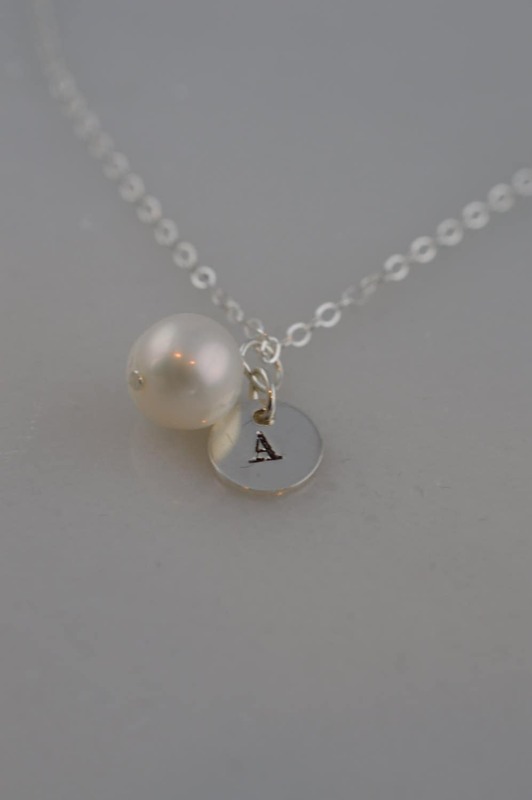 A sterling silver disc will be stamped with the letter of your choice and then dangled from an 8mm freshwater pearl to make a modern but classic piece. 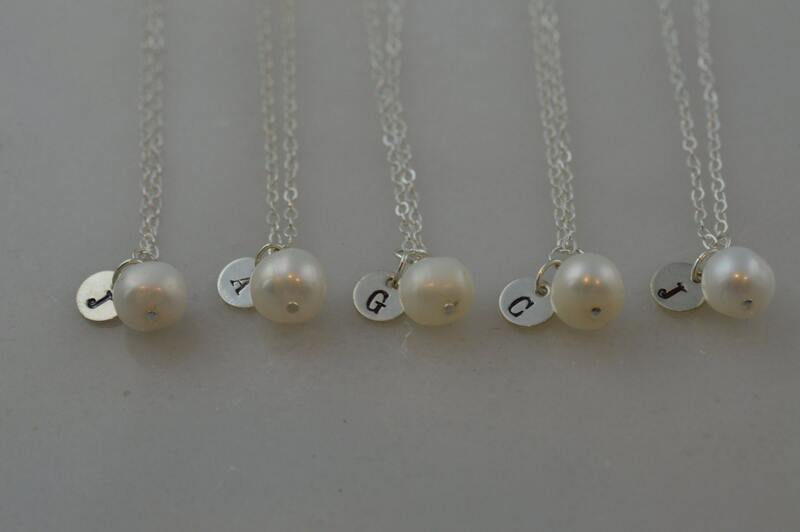 Comes on a sterling silver - choose your length. 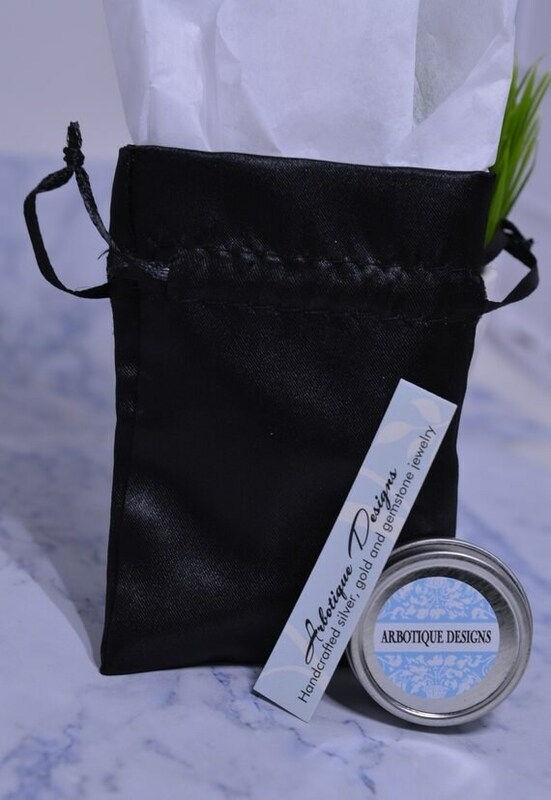 Letters are available in classic block or script - please leave your choice of font in the "notes to seller" box at checkout. If no font option is chose, I will use block.